There’s no doubt about it: when it comes to TVs, bigger is always better. Today’s technology allows manufacturers to offer TVs with a vast array of features at a more affordable price point then they were able to even a couple of years ago. The latest trends in design and technology are incorporated into each year’s model. Wireless technologies are blended with controls designed for easy and simple use. All of these features are showcased more so in the larger screens that are currently available. The good news is that going big doesn’t have to mean breaking the bank. Today, some of the best 55 inch TVs can fit comfortably inside your budget. 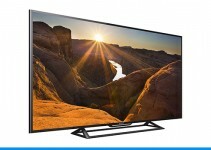 When you are looking to purchase a new 55 inch TV, the resolution of the product is one of the more important factors to consider. The greater the resolution, the better the image quality will be. Manufacturers will take advantage of different hardware and software designs to enhance the color, contrast, and brightness levels of the images on the screen. The refresh rate of an image will determine how smoothly the action flows within it. Some modern designs make use of a curved screen to present a deeper field of view. The list that follows highlights some of the features found on 10 different TVs available in the 55-inch range of screens. All of these units are from the 2017 model year. Each employs LED technology to produce images that incorporate the manufacturer’s best designs for audio and visual presentation. Included in each review are details on features that take advantage of Wi-Fi technology as well as online streaming. 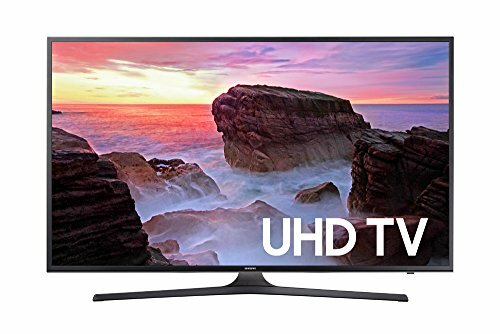 Each entry ends with a small list of connection points offered for other external devices.Here are our top 10 picks for the best 55 inch TVs at a price of $1000 or less. Being drawn into the action on a curved screen is quite the experience. 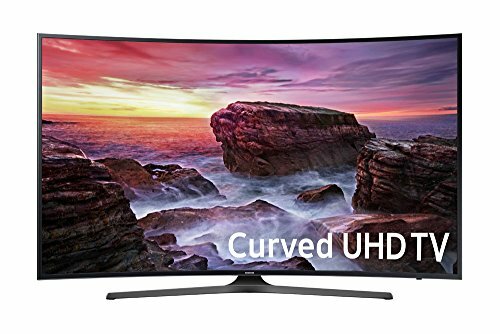 On the Samsung UN55MU6500 Curved 4k UHD 55 inch TV it is simply remarkable, thanks to the Auto Depth Enhancer. The 4K Color Drive is designed to offer a more realistic viewing experience with colors that are intense and true. The wide range of colors and contrast is enhanced with 4K HDR Pro, which assists in distinguishing the transition between dark and light more clearly. Hidden details in dark scenes are revealed with the assistance of Essential Black Pro. All of these features help to provide a colorful High Dynamic Range (HDR) picture. The 4K resolution provides four times as many pixels than Full HD, and the action on screen is smoother with Motion Rate 120. The Samsung Smart Hub technology allows you to connect to Wi-Fi so you can watch all of your favorite games, music, and shows. 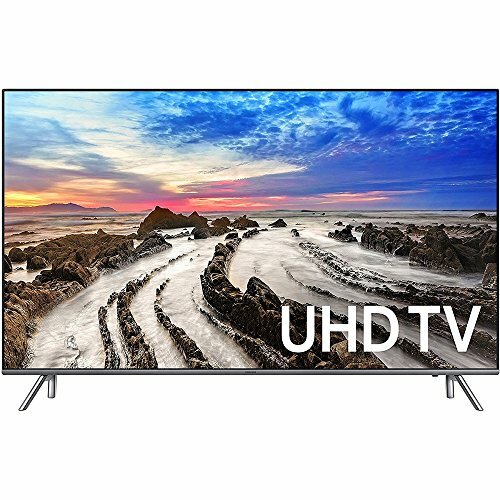 This 55 inch TV comes with 3 HDMI ports, 2 USB ports, 1 Ethernet port, 1 component input, 1 composite input, 1 RF input, 1 Digital Audio output, and 1 RS232C serial interface. There is plenty of connections for all types of devices on this model, and the best 55 inch TVs need good connectivity. The 360º Design gives the black finish of the Samsung UN55MU8000 a beautiful and clean appearance from back to front. This applies whether on a stand or mounted to the wall. It really is one of the best 55 inch TVs under $1000 on style and aesthetics alone. A clean and clutter-free look is achieved with Samsung’s Clean Cable Solution. This allows you to run cords through the base of the TV stand. This works along with the One Connect box that allows for components to connect to a separate box instead of the back of the TV itself. Some people like the One Connect box and some don’t, so be aware it’s there. 4K Color Drive Extreme reproduces a billion more shades than an ordinary 4K UHD display can. Very realistic contrast is achieved through Expanded Color Depth and 4K Color Drive Extreme. Triple Black will help reveal what has been hiding behind dark scenes. The actions in even the fastest scenes is crisp and clear with an impressive refresh rate of 240 Hertz. Viewing all your favourite shows is made easier with Wi-Fi connectivity and OneRemote technology. 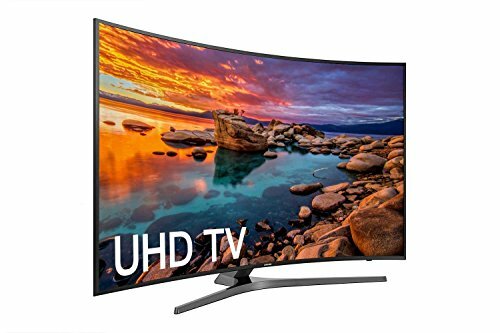 In terms of connectivity, the Samsung UN55MU8000 55 inch TV has you covered, unless you want to connect older devices. There are 4 HDMI ports; 3 USB; an Ethernet; RF; Digital Audio output, and 1 RS232C serial interface included. What this 55 inch TV lacks however is a composite or component connection. This might mean nothing to you but if you run older devices just be aware of this. 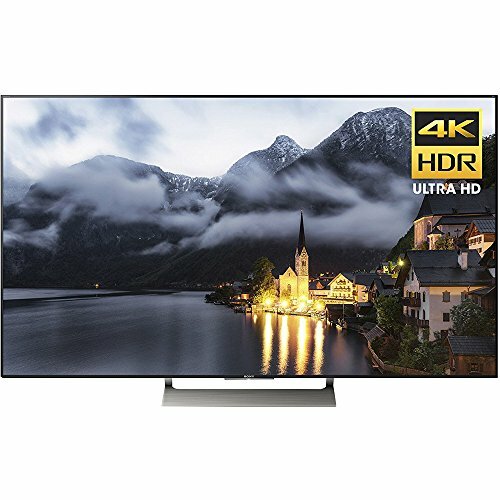 This X800E series 55 inch TV from Sony produces High Dynamic Range (HDR) detail with 4K Ultra HD resolution. This detail of blues, greens, and reds is produced with the assistance of Sony’s Triluminos Display technology. Brighter highlights and deeper blacks with a natural gradation of tones is produced with the Dynamic Contrast Enhancer. Near 4K resolution is achieved with the assistance of 4K X-reality Pro. The refresh rate of 60 hertz is enhanced with Motionflow XR to give a smooth flow to action on the screen. Access to all types of entertainment is possible with Android TV and Wi-Fi connectivity. The Sony X800E 55 inch TV comes with 4 HDMI ports, 2 USB 2.0 ports and 1 USB 3.0 port. For connecting older devices there is also 1 component/composite hybrid input, and 1 composite input. Sony are often seen as an expensive brand, but one thing you can always rely on is quality. As one of the best 55 inch TVs for under $1000, what you get with the Sony X800E is impressive. Plenty of connectivity, great picture and sound quality and a solid smart suite. Ultra HD picture quality is viewable thanks to the 2160p resolution of the LG UJ7700. Active HDR with Dolby Vision provides analyses and optimization of each scene. This is boosted by support for Dolby Vision and HLG HDR standard’s backward compatibility. Color distortion is corrected with the mapping of true color technology that is both accurate and natural. LG uses in-plane switching in the 55UJ7700 to give a more consistent view at wider angles. Fast and reliable Wi-Fi connectivity is offered along with LG’s webOS service. This allows streaming with popular apps such as Netflix, as well as 70-plus channels through the LG Channel Plus app. A seven day free trial of Sling TV is also included. All of this can be viewed at a refresh rate of 120-hertz. Included are 4 HDMI inputs, 1 digital optical audio output, 2 USB ports, 1 component video input, 1 composite video input, and 1 Ethernet port. With the LG UJ7700 55 inch TV you get plenty of quality features and performance for your buck. The Samsung MU6300 offers High Dynamic Range viewing with 4K UHD resolution. Color enhancement is achieved with 4K Color Drive for a more realistic viewing experience. The 4K HDR Pro and Essential Black Pro technology will provide contrast and vibrancy to colors as well as expose rich details in dark scenes. Great for gaming too, especially in dungeons or dark areas of games. Skyrim, Fallout or The Witcher are three examples where the Black Pro feature really makes a difference. A refresh rate of 120 hertz is achieved with Motion Rate 120 to give crisp and smooth action to all scenes. It is a very responsive picture. The edge of human vision is pushed with the 4K HDR resolution of this large screen. More accurate colors that are brighter in intensity is achieved through TCL’s NBP technology. This technology gives the TCL 55C807 55 inch TV the ability to maximize color space. The Dolby Vision images can deliver brighter whites and deeper blacks with 72 zone contrast control. You really notice the blacks. Anyone that thought black is just black will have a Copernicus moment when they see the difference. Clear viewing from near the side is available due to the 178º viewing angle. High-speed action is brought to life with a refresh rate of 120 hertz that is provided with Motion Rate 120. Wi-Fi connectivity is provided, and Roku Smart TV provides you with a simple interface that accesses more than 4,000 streaming channels. The advanced remote includes voice search and a headphone jack for private listening. A mobile app allows you to turn a smartphone or tablet into a remote with the same features as well. This TV includes 3 HDMI ports, 1 USB port, 1 RF input, 1 composite input, 1 headphone jack, 1 optical audio output, and 1 Ethernet connection point. 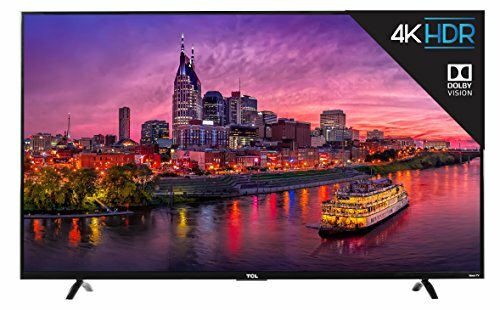 The price of the TCL 55C807 along with the features you get, make this one of the best 55 inch TVs under $1000 today. 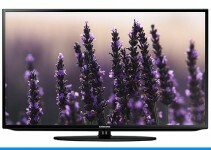 With four times more pixels than Full HD, the 4K resolution of the Samsung U7600 offers a complete viewing experience. You will be drawn into the action more with the Auto Depth Enhancer feature for this curved screen. A wide range of colors and contrast is supplied with 4K HDR Pro. These features offer a distinguished transition between dark and light. Motion Rate 120 will keep the action on screen smooth with a refresh rate of 120 Hertz. The 360º design offers a pleasing look to the metallic finish no matter where this TV is placed. Fully Wi-Fi compatible, this Samsung product will allow for streaming of all the content you love. Along with the ability to control everything from a single mobile device. Connections include 3 HDMI inputs, 1 digital optical audio output and 2 USB ports. For older devices, there is a component video input, composite video input, RS232 input, and 1 Ethernet port. 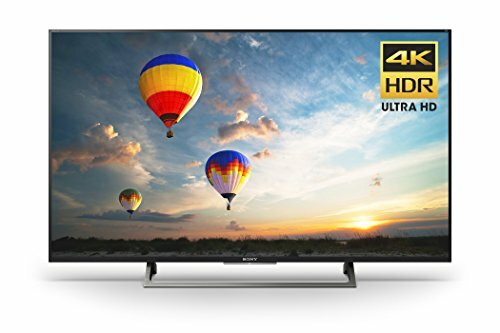 The Sony X900E 55 inch TV offers 4K resolution through the use of HDR Ultra HD technology. The crisp clarity of images is enhanced with the use of 4K X-Reality Pro, with a full array of localized dimming and boosting for the Trilumunos display. Greater contrast control is realized through the 5x XDR Contrast technology that is standard with this model. The smooth action of scenes is viewable at a 120-hertz refresh rate with the assistance of MotionFlow XR 960 capability. The quality is smooth as you would expect from Sony, with incredible color and tone. These are the real stand out features that make the Sony X900E worth of a place in our best 55 inch TV list. The Sony X900E TV offers Wi-Fi connectivity as well as Android TV, allowing access to all of your favorites. It also works with Amazon Alexa. This TV is Bluetooth enabled for Bluetooth version 4.1. Connectivity for devices includes 4 HDMI inputs, a digital optical audio output, 2 USB 2.0 and a USB 3.0 port. For older devices there is a component video input, 2 composite video inputs and 1 RS232 input. As if that wasn’t enough there is also 1 analog audio output, RF antenna input, headphone jack, and Ethernet port. Sony never disappoints when it comes to connectivity and this 55 inch TV is no exception. The TCL 55P607 55 inch TV supplies a lifelike picture at 2160p resolution with 4K Ultra HD design. Images are made more lively with the use of Dolby High Vision HDR (High Dynamic Range). Superior color, contrast, and brightness are achieved with the NBP photon technology that TCL uses. You are able to optimize contrast more with the use of 72 zone contrast control, producing brighter whites and deeper blacks. 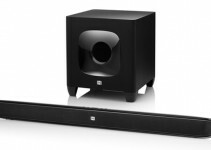 Dolby Digital Plus will peak sounds from movie and music sources. With 178º viewing angles, a clearer picture is available for seats near the side of the TV to enjoy the on-screen action. The refresh rate of 120 Hertz is great for a TV screen of this size. With Wi-Fi connectivity and Roku Tv, thousands of streaming channels are easily accessible. An advanced remote includes voice searchability, and a powerful mobile app allows you to turn a smartphone or tablet into a remote with the same capabilities. There are 3 HDMI inputs, 1 USB port, 1 RF connection, 1 composite connection, 1 headphone jack, 1 optical audio output, and 1 Ethernet connection available on this unit. 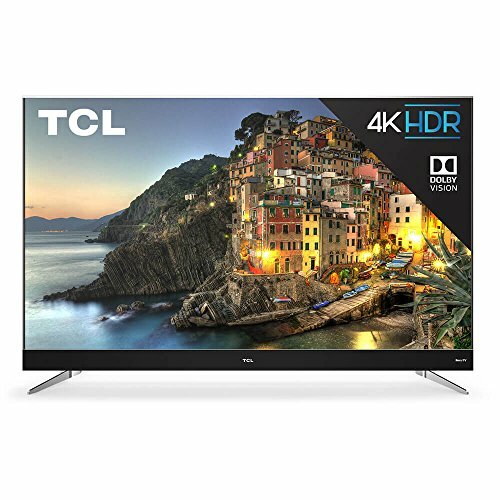 TCL have become a real contender in the TV market in the last few years and the 55P607 55 inch TV is a good example of why. The 3840×2160 resolution of the Vizio M55-E0 55 inch TV is achieved with a blend of Dolby Vision HDR and Ultra Color Spectrum. These features provide a sharp Ultra HD experience. Impressive color brightness and depth are supplied by XHDR Plus technology. The XBE Plus feature uses 32 local dimming zones to adjust levels that offer richer blacks without compromising the brightness of an image. It really is a stunning picture. This series of LG TVs uses Ultra Color Spectrum to offer the widest range of color and saturation possible. VIZIO SmartCast features have been improved with the ability to launch apps from the screen with VIZIO SmartCast TV. SmartCast Mobile gives you the ability to browse and control content from your phone. 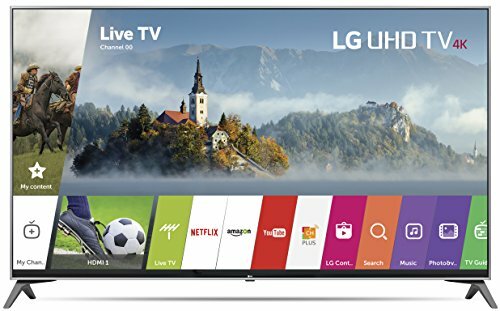 In terms of connectivity, this LG 55 inch TV includes 4 HDMI ports, 1 USB port, 1 component input, 1 Ethernet connection, 1 ARC output, 1 analog audio output, and 1 digital audio output. The abundance of ports, supreme picture quality and impressive smart features are what make the Vizio M55-E0 one of the best 55 inch TVs. So that’s our list of the best 55 inch TVs for under $1000. What is notable this year, is the amount of quality 4K and curved TVs that have been released in 2017. Not only that, but the quality that you can now get for under $1000. Technologies that used to be reserved for those with a greater budget are now more widely available. In just a couple of years the prices have dropped down considerably. In this list there are some true heroes, with stunning picture and sound to really bring the cinema into your home.